Deregulation and liberalization of the telecommunications markets has led to tough international competition. This paper presents well-established approaches used by large telecom service providers in assessing the technical and market forces impacting their network planning and strategies. 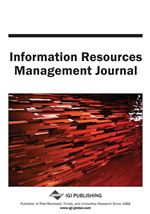 This paper, in the form of a tutorial, takes the reader through the assessment and analysis processes dealing with the requirements, design and implementation issues facing global communications carriers today. Four generic telecommunication network models (varying based on the degree of capital intensity required) are presented to demonstrate that a strategy of employing these generic models to appropriate settings generates cost savings and network efficiencies. A specific case analysis conducted by the global communications carrier for a regional network in Italy is included that discusses strategic planning for the provision of new data and Internet services, and assesses alternative network designs and technologies to provide optimized solutions and service delivery.